Research, list, and describe target markets for online writing. Last week, we discussed the importance of researching writer’s markets in order to do offline writing. Hands down, the best resource for this type of research and writing is Writer’s Digest Book’s Writer’s Markets series of books. Online writing, however, is a different animal together. The best sources to offer writers guidance on markets to pursue for online writing are bloggers. The quirk about bloggers is that their writing requirements change frequently, which is not the case with offline markets. If you are interested in writing for a particular blogger, contact him, come right out and ask if he would like to receive your work. Sometimes, this type of writing is called guest a blog posts; sometimes it is referred to as an article or just a post. In this new education section, I’d like to provide a quick tip to motivate nonfiction writers: Promote your book with a virtual book tour! That is a tasty piece of advice I learned a year ago. I was intrigued by the concept of virtual book tours back then and even today, I love it so much that, despite not having published a book of my own (yet! ), I try to “sell” the concept to anyone who will listen. The basic premise of virtual book tours is to market a book you’ve written and published by doing the marketing strictly online. Generally, the book author goes “on tour” by visiting different blogs and having those bloggers either interview the author or do some sort of feature on their book. Nina Amir did a fabulous job with this. 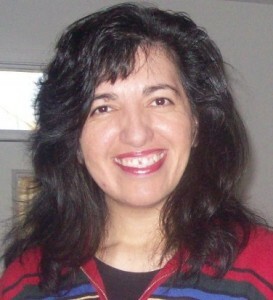 Lori Verni-Fogarsi also had great success with her virtual book tour. And now, I have learned that new children’s book author Susie Caron is about to embark on a virtual book tour to promote two books at the same time! There are many advantages to doing virtual book tours, but the biggest one is related to cost. It is free to set up a virtual book tour on your own, assuming you have good contacts in place. It is also free to host a virtual book tour for others, and doing so gives you great exposure and a new audience, even if you haven’t yet written a book! Today’s feature is on book author extraordinaire Jo Linsdell. Jo has written and self-published so many books, that she has become an indie self-publisher extraordinaire! Among the books that she has written are Italian for Tourists, A Guide To Weddings In Italy, and her most recent, Virtual Book Tours: Effective Online Book Promotion From the Comfort of Your Own Home. Here is our lucky thirteenth and final feature on Artistic Toy Manufacturing Co. and the wild success of its custom plush and toys. Artistic Toy has entered the fun and interesting adventureland of geocaching. Do you know what that is? Geocaching is like an adult version of hide and seek involving the hiding and subsequent finding of objects by adults. Sounds deceptively simple, but it is tricky because the objects are generally hidden inside waterproof containers and are located in places that require navigational systems to find them! So how is Artistic Toy involved with geocaching? 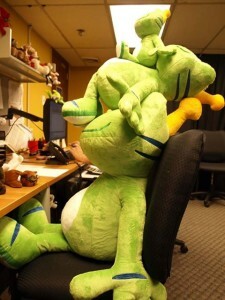 By manufacturing and supplying the mascot for geocaching, Signal the Frog. The story that explains the reasons why the frog exists in the first place is fascinating. You can read it for yourself here. 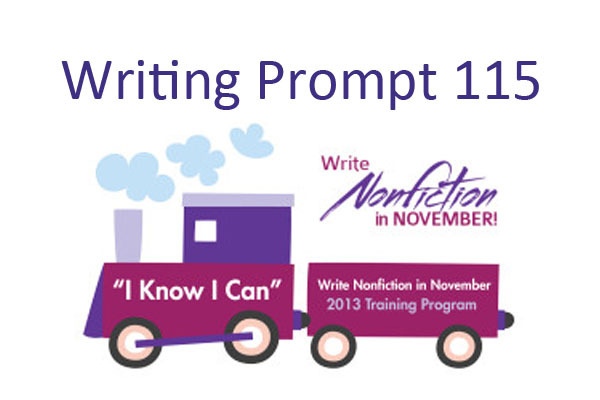 Amanda M. Socci is the creator of the “I Know I Can WNFIN” 10-month training program for Write Nonfiction in November. The first two blog posts of the series explain more about this program and its benefits. Amanda refers to herself as the Creative Idea Gal because she comes up with deliciously original ideas for herself and others. Based in Alexandria, VA, she is a devoted mother of two and a hopeless fanatic of all things creative. Connect with Amanda on Google+ or Twitter. National Nonfiction Writing Month will be here soon. Are you ready? « Where Did the Write Nonfiction in November Blog Go? Wow, what a great gift you have given me with your kind words. I am totally grateful that you have taken the time to comment! My writing prompts for the last ten months have received very little attention, despite putting in, on average, 3 hours per prompt, lol! Best of luck with your “newborn hatchling.” I know it will be kickin’ very soon!